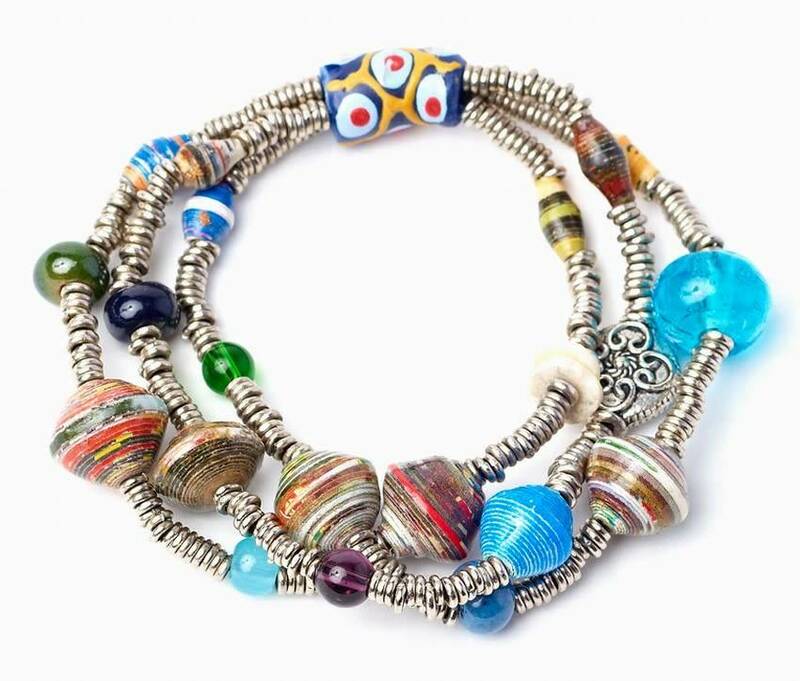 This stretchy 3 strand bracelet combines eco-friendly elements - recycled glass, magazine paper beads, ostrich eggshell and batiked bone accents. All are set on elastic strands of silver-toned giriama beads. Handmade in Kenya.